One recent night/morning about 1:30 a.m. or so, I was writing a blog post when I received an email telling me that a comment had just been posted to my blog. It was from a woman named Veronique Lindenberg. 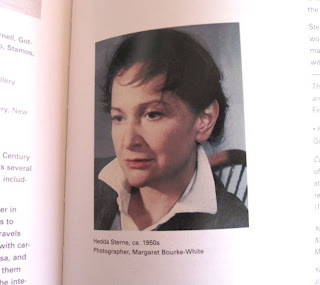 She had idly googled 'Hedda Sterne' and turned up my blog post from April 2009 headed "Who Was That Woman?," a post I had written about Hedda Sterne. Veronique told me that Hedda Sterne was very much alive at the age of 99 1/2 years and was strong, still struggling with life and eating with appetite. I recognized the name Lindenberg as being Hedda's birth name and surmised that Veronique was a relative. In fact, Veronique is Hedda's niece who lives in Paris and was visiting Hedda in New York. In the midst of my six-part post about Mark Rothko, I had become intrigued with Hedda Sterne, an artist who was working in New York at the same time that the Abstract Expressionists were flourishing in the '40's and '50s. Hedda did not identify her work as belonging to that movement but was tagged with it because of her inclusion in a famous photo that had been published in Life magazine in 1951. 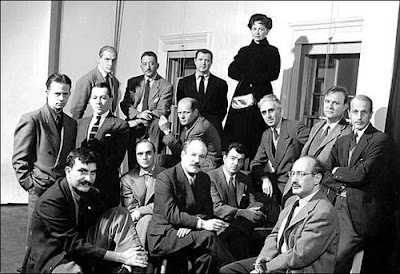 That photo, taken by Nina Leen, showed 14 male artists and Hedda Sterne. They (along with several other artists - male and female - from the club at Studio 35) had written a letter to the director of the Metropolitan Museum protesting the conservatism of the museum's jurors for group shows, and the letter made the front page of the New York Times. Veronique and I emailed back and forth a few times, and when she found that I was visiting New York, suggested that we meet to chat and visit some galleries together. 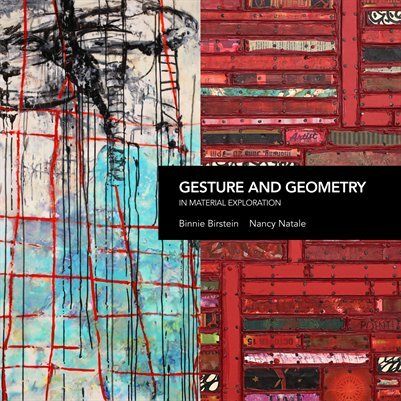 She also wanted to see the exhibition of Betty Parsons' work at Spanierman Gallery since Betty Parsons had been Hedda's longtime art dealer and personal friend. 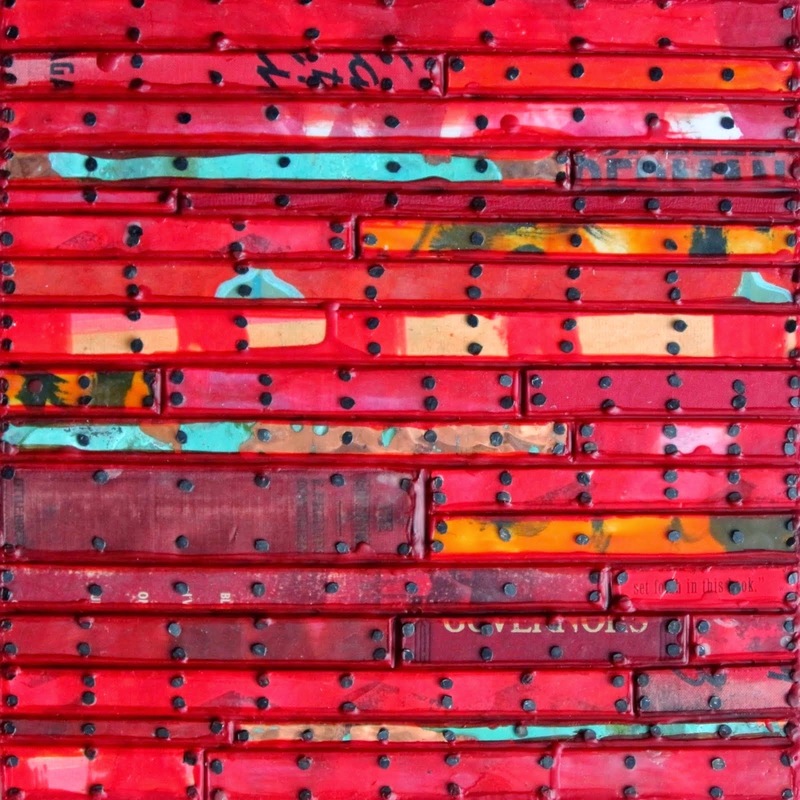 Unfortunately, the snowstorm that New York experienced last weekend curtailed our plans, but Binnie and I did meet Veronique in Chelsea at the El Anatsui show and had lunch together. 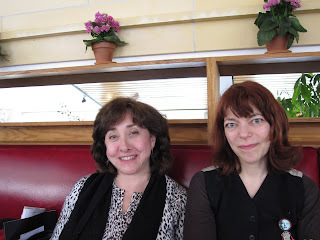 Here are Binnie Birstein (left) and Veronique (right) across from me at lunch. 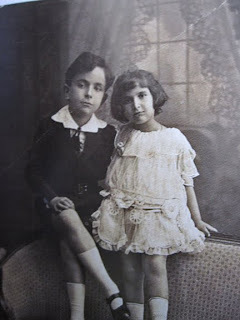 Hedda and her brother "Edi" about 1915. Veronique told me she was always surprised by how old the faces of these children looked. 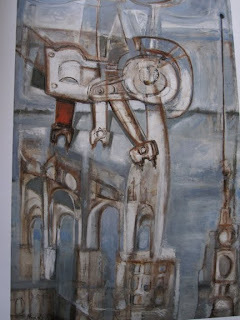 The cover of the catalog shows Hedda's "Machine 5" of 1950. Veronique told us that she had met Hedda for the first time at about age 16 after the death of her father. She visited New York and stayed with Hedda, but her aunt had little time for her teenaged niece since her life was devoted to making art. Veronique described a somewhat stern aesthete who viewed making art as her life's work and let few things interfere with that mission. Over time the relationship between Hedda and Veronique has developed strong bonds. They are now each other's only living relative. As Hedda nears the century mark of her life in August, Veronique treasures her three or four visits a year to New York. She says that although Hedda is no longer able to make art, she remains a philosopher of life and retains her wisdom and humor. She speaks four or five languages and converses with Veronique in both French and English. 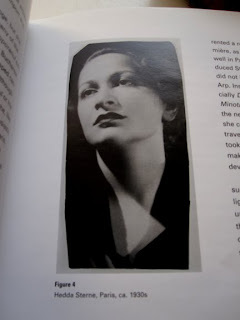 Hedda in the 1930s in Paris before she emigrated to the U.S.
What motivated Veronique to contact me was my understanding of how annoyed Hedda must have been that she was known to posterity mainly because of her inclusion in the "Irascibles" photo. 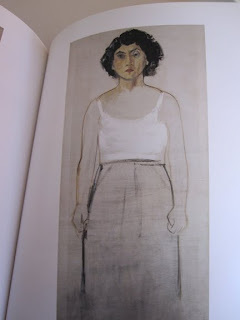 Hedda was very much her own woman. She had a long career of making and showing art that defied categorization because of her insistence that she be free to pursue whatever interested her in a style she thought appropriate. A story that Veronique told me demonstrated that Hedda became aware of independent thinking early on. At age three, Hedda was in a group of relatives mourning the death of Hedda's uncle. She was crying, as were the rest of those gathered. Hedda suddenly had a thought that she did not feel sad and so she stopped crying. She recognized this as a personal choice and evidence that she could think unique thoughts and determine her behavior regardless of those what those around her thought or did. Hedda was involved in the Romanian art scene from an early age and studied the work of avant-garde European artists as well as classical plaster casts and old master paintings. After high school, she initially enrolled at the University of Bucharest where she intended to study philosophy and art history, but instead decided to pursue her artistic training independently. Her first solo trip to Paris in 1930 allowed her to work in the Academie de la Grand Chaumiere and the atelier of Fernand Leger. She became intrigued by (but not fully committed to) surrealism and traveled between Paris and Bucharest with study trips to Greece, Egypt and Spain. 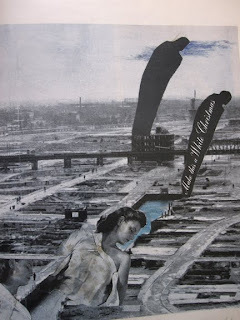 An early untitled Surrealist-influenced collage by Hedda , about 1941. 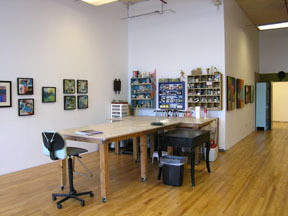 Here are a few examples of Hedda's work showing the range of the styles and subject matter that she chose. "Monument", ca. 1949-51, oil on canvas, 52 x 30 inches. 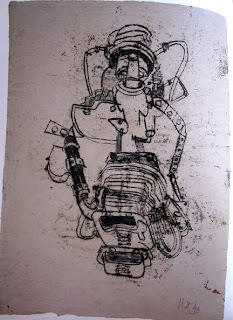 Monotype, Untitled 1949, 18 x 13 inches, Krannert Art Museum and Kinkead Pavilion, University of llinois at Urbana-Champaign, 2002-3-3, Gift of the artist. 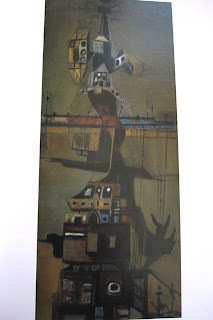 "Totem Pole I [N.Y., N.Y. #17]", 1949, Oil on canvas, 38 x 16 inches. 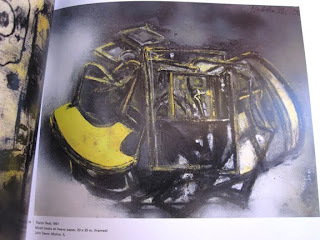 "Tractor Seat", 1961, mixed media on heavy paper, 20 x 25 inches (framed), John Deere, Moline, IL. Nancy, what a lovely story! And I'm enjoying the images of Sternes' work. What a wonderful article. It thrills me to read about such an independent and talented women. My best to her and I look forward to reading more about her. 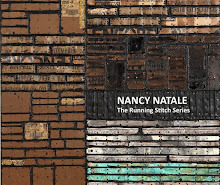 Thank you Nancy for sharing this story. 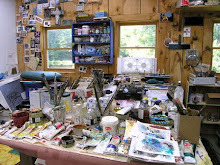 This is a fabulous posting because not only do you have the connection directly to the artist but you also have a passionate understanding and appreciation of the artist's work. I had no idea that this artist was still alive. I will always remember that image of her above the tough guy painters and artists. I guess you could say that she was head and shoulders above them all! Thanks for your comments, Lynette, Terry and Patricia. 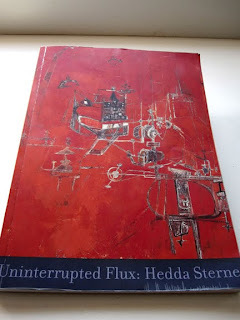 Learning more about Hedda and her work was an unexpected and rewarding surprise. How many other women don't we know about who devoted their lives to art? Really wonderful post, Nancy. I always wondered about Hedda Sterne, standing there above the men. This is the art history that never got written into the books. Thank you! Thanks for your comments, Lia and Joanne. This is filling in some of the blanks. GREAT story...and that fine woman, Hedda, hanging out with the coolest guys of the time! well, maybe ever! Thank you, Di and Neva. She was very cool her whole life! I appreciate reading about strong, committed women artists, so thank you for presenting more about Hedda. 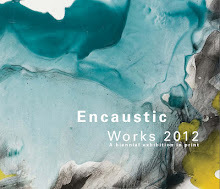 Particularly like the story about her as a three year old determining that she could choose her own responses to life. That catalogue must have been quite a meaningful gift for you to receive.